Ouranoupolis. 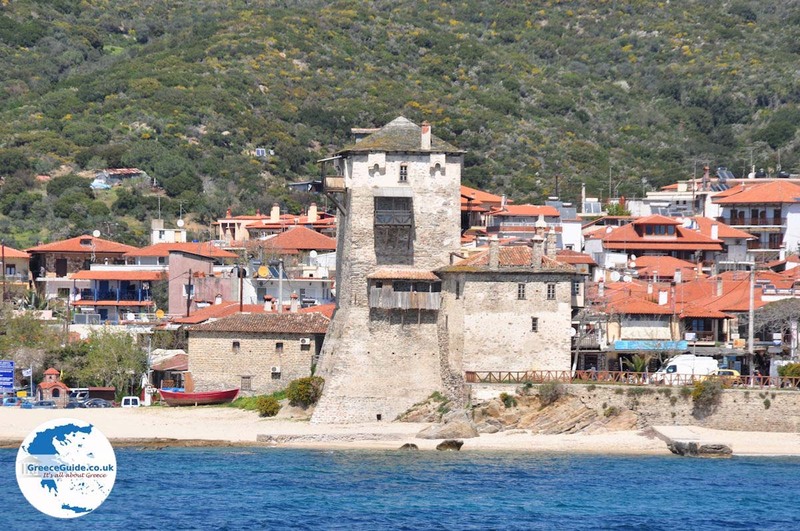 Ouranoupolis (or Ouranoupoli) is a tourist town near the border of Agion Oros (Mount Athos) in the east of the Halkidiki peninsula in Greece. 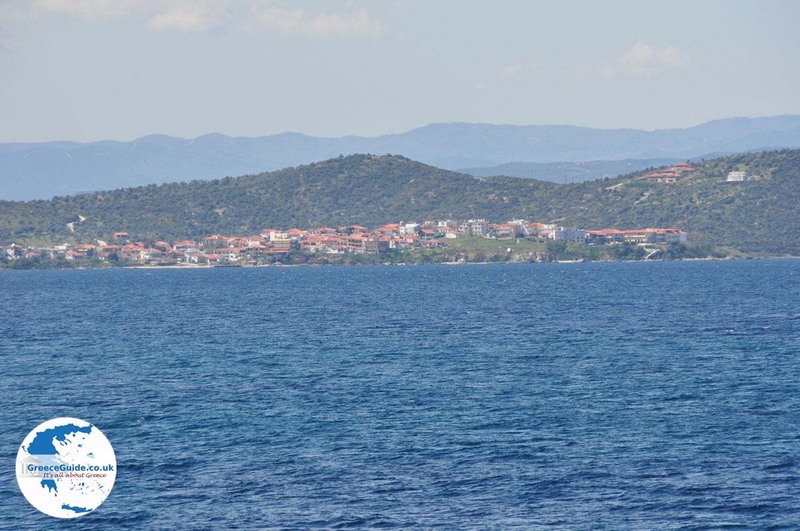 Ouranoupolis is situated 88 kilometers (55 mi) east of the capital of Halkidiki, Polygyros. Approximately 1,000 permanent residents live here. Throughout the year, tourists visit this town. It is a location that attracts a lot of Orthodox believers, but also all kind of tourists because the area is very scenic and has many beautiful beaches. 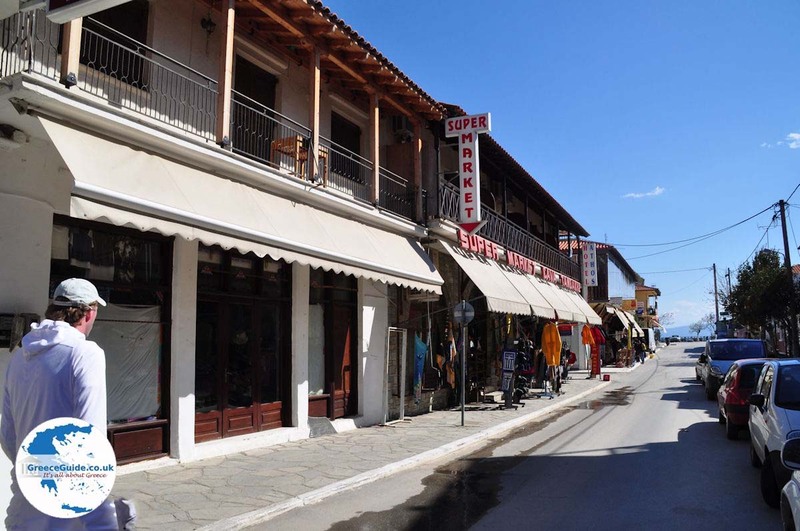 Ouranoupolis is a traditional town where the old architectural style of the houses is preserved. 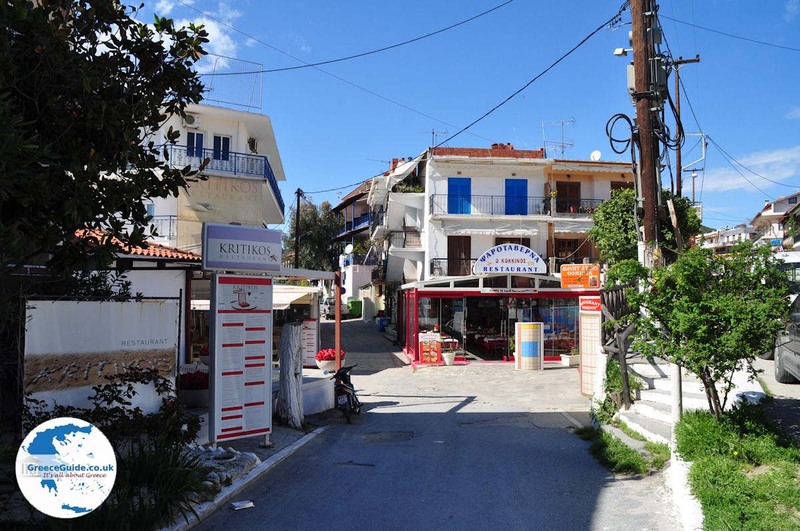 The town received its name from the ancient Ouranoupoli. 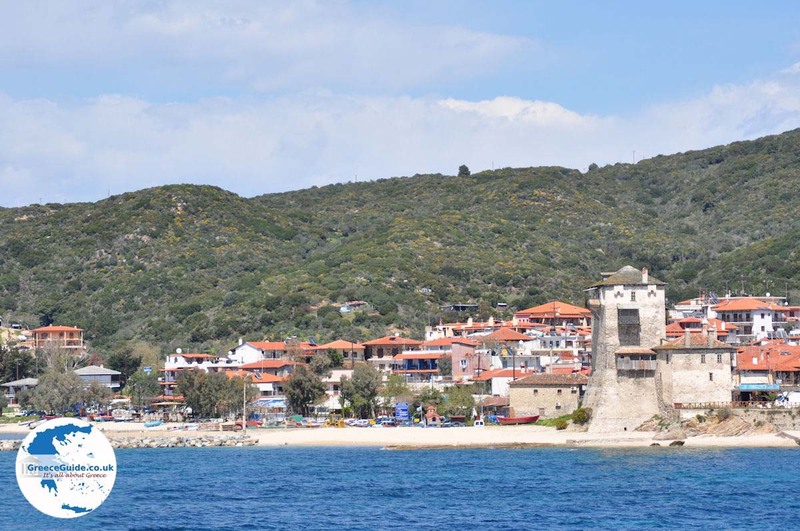 The old Ouranoupoli was originally located near the village of Trypiti and was built in the year 315 BC by Alex Archos, brother of Kassandros. 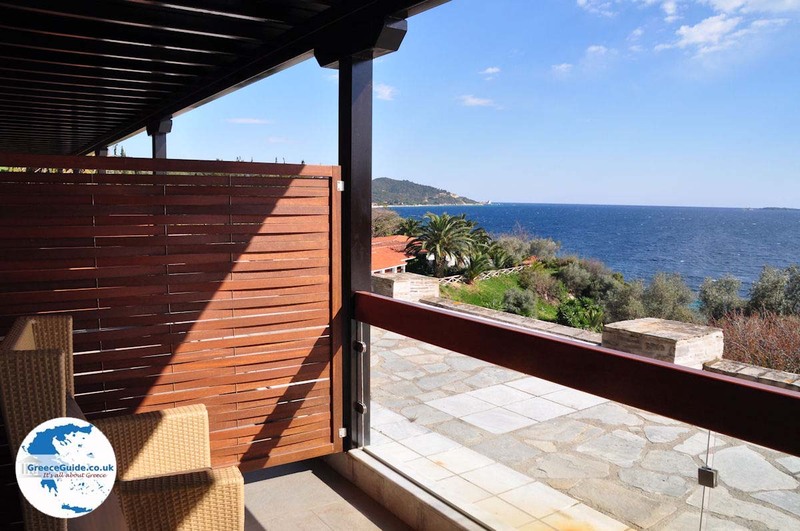 From Ouranoupolis there is a beautiful view over to the islands Ammouliani and Drenia. 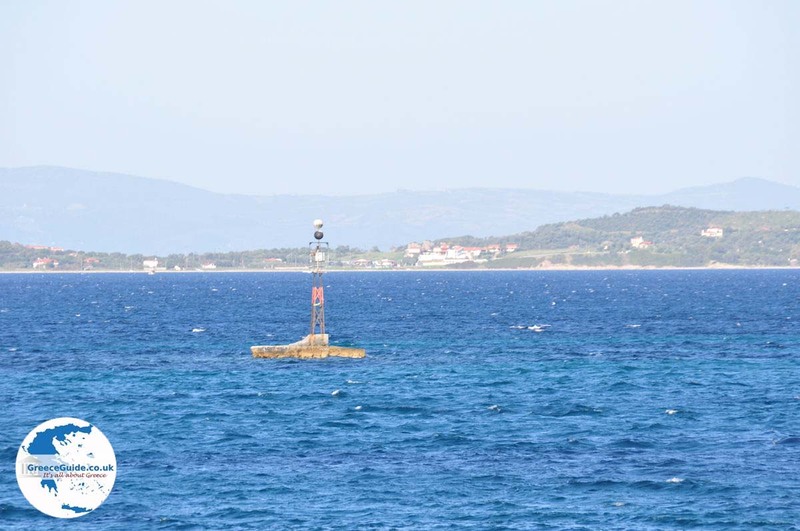 From the harbor of the town, boats sail daily to Dafni, the main port of Mount Athos, and to other ports of the Athos area. 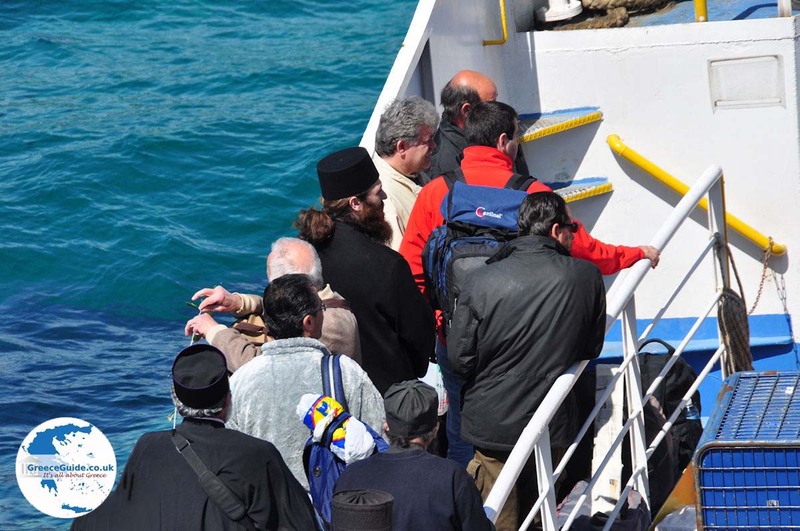 At the Office of the Pilgrims of Agion Oros, one can obtain permits to visit Agion Oros. Be aware that only men are allowed to visit the area. 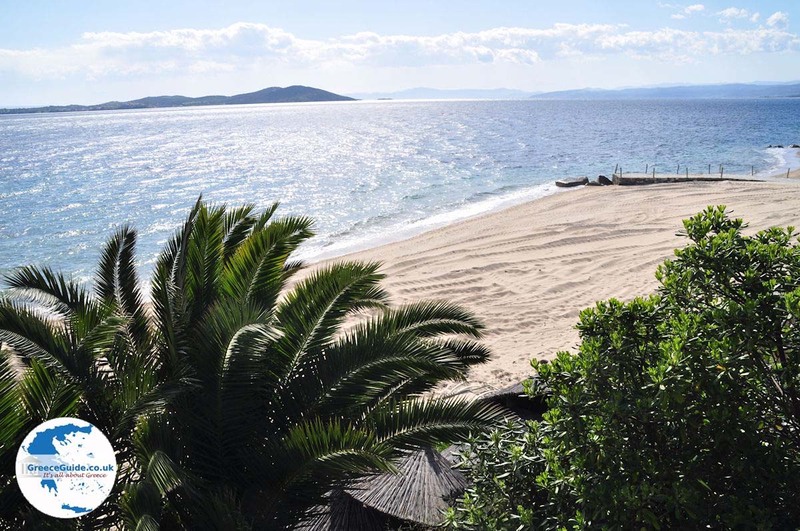 At the beach of Ouranoupolis, you can rent boats to visit nearby islands, in addition there are day trips (mini cruises) around the coast of Athos and the islands. - The ruins of the Monastery of Zygou also called Frangokastro. Zygou Monastery is located on the border of Athos and was built around the 10th century. Here lived the Holy Athanasios who later founded the Monastery Megisti Lavra. 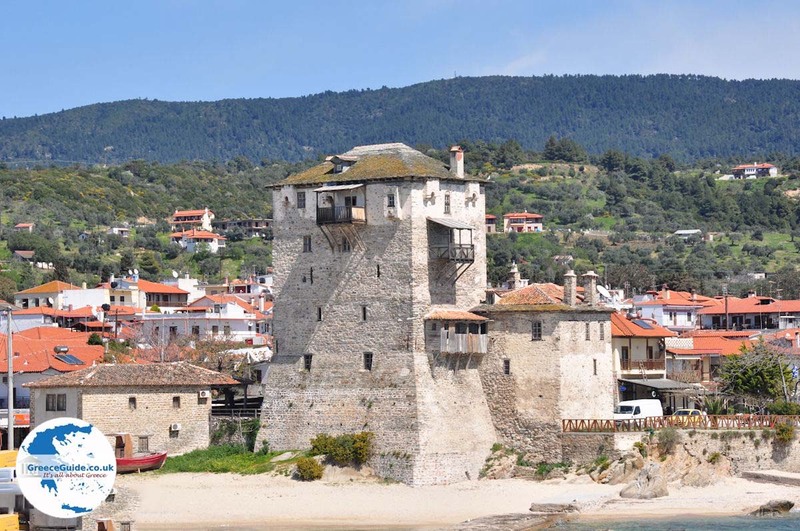 - The Byzantine castle Prosforiou that has existed since the 14th century. - The green forests in the area. 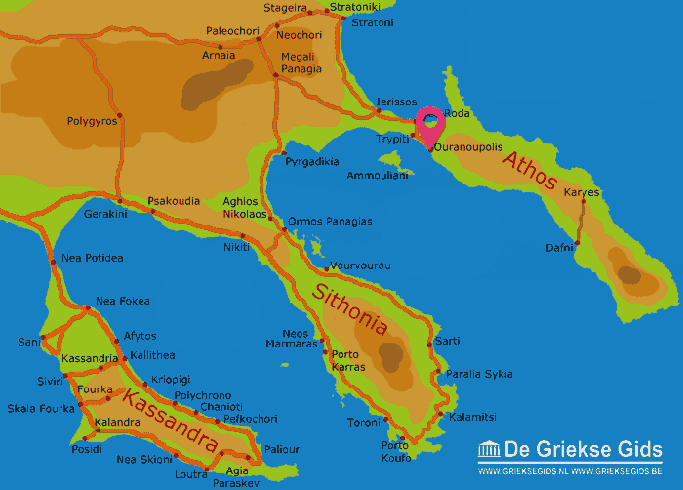 Halkidiki: Where on the map is Ouranoupolis located?